This website looks amazing: thatsmyface.com. 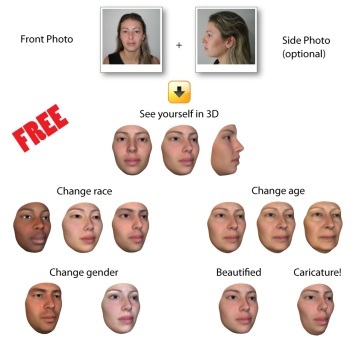 Apparently it can make a 3D model of your face based on photographs, then print it on action figures, legos, 3D sculptures, and more. If anyone tries it let me know!